PARIS: Twelve months ago, while Simona Halep was crumbling to defeat in the French Open final, Sloane Stephens was off the tour, attending the wedding of a friend in Ireland. 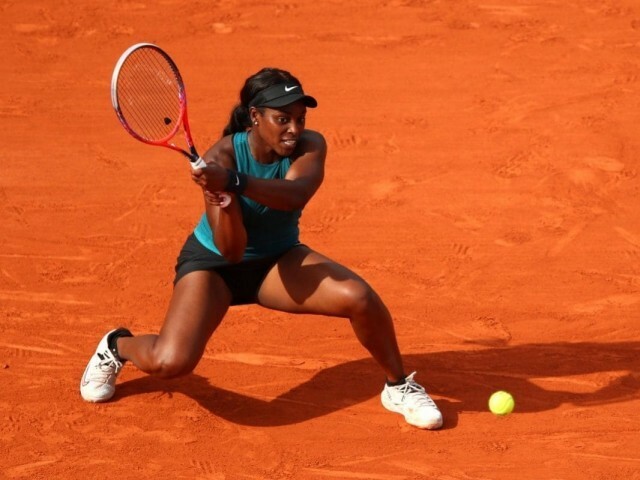 While Halep’s slump from a set and 3-0 up against Jelena Ostapenko at Roland Garros was in the full glare of the world’s media, Stephens’s own professional crisis was more private but just as devastating. A foot injury — and then surgery — had put her career on ice for 10 months and her ranking had nosedived to 323 in the world. The 25-year-old can be forgiven if she pinches herself. She won the US Open in September on a ranking of 83 and just 69 days after returning to the tour following her near year-long absence. Six weeks earlier, her ranking had been in the twilight zone at 957. Stephens’s run to Saturday’s final comes after a roller-coaster year since her US Open stunner. In fact, her next match win after the US Open did not come until Acapulco in February. Not to be one who does things half-heartedly, Stephens then captured her first Premier level title at the Miami Open and won both her singles in the United States’ Fed Cup semi-final victory over France. Stephens had never previously got past the fourth round in Paris before this year. Indeed, her Roland Garros campaign this year came close to ending in the third round when Italy’s Camila Giorgi twice served for the match and was within two points of winning. No surprise then that the charismatic Stephens is not getting too far ahead of herself for Saturday’s final against two-time runner-up and world number one Halep.